Halitron, Inc, a multi-sector holdings company based in Newtown, CT. closed Monday at 0.0007 +0.0005 (+250%) on over 1.7 billion shares traded. Investors jumped on the company’s announcement of turning preferred stock into a $3 million asset. Through successful negotiations, Halitron has returned 56 million restricted common shares and 80 million Life’s Time Capsule Services, Inc.’s (“LTCP”) Preferred Stock C shares to LTCP in exchange for the receipt of a note payable for $3 million, bearing interest of 4%, which matures in July 2020. The audit work is under way and is expected to complete in the first half of 2018 with the objective to uplist to the OTC QB. Halitron has begun to buy back shares in the open market according to the “black-out” periods disclosed in its filing to OTC Markets with the objective to increase its share price to $0.01 per share. The $0.01 share price is one of the requirements by OTC markets to uplist to the OTC QB. The number of shares and price paid will be listed in its quarterly filings. The acquisition of the Hopp Companies, Inc.’s assets, and the subsequent transition to Halitron’s infrastructure, has been very successful to date. Over the past week, half of the production equipment has been relocated to Newtown, CT and will be set up and tested for full production over the coming weeks. Management is forecasting to exit the 5,000-square foot facility in New Hyde Park, NY by the end of March 2018, upon which time Halitron’s operating expenses should decrease dramatically. Management is now drafting the strategic plan to utilize previously acquired assets, specifically the two brands, PiecesInPlaces and CinchSigns, within Halitron’s infrastructure. Management is continually seeking acquisition opportunities and has recently received communication on an excellent strategic acquisition that would complement its current operating business. More information will be released as we enter due diligence on the target company. Hopp specializes in providing quality Point of Purchase In-Store Marketing, Merchandising, Pricing, and Sales Aids. Our goal is to help our customers save time and money at store level upon the installation of displays and price changes. We are the source for quality in store point of sale and point of purchase merchandising supplies. Hopp Companies specializes in giving the best service and value to fit your needs of any size and color of our POP products. Their specialty products division can produce any style of printed, die-cut and formed plastic product from rigid or flexible plastic and magnetic materials. Hopp Companies proudly manufactures products for all types of retail stores as well as Distributors and Warehouses. PiecesInPlaces is a brand that sells primarily vinyl file folders, pages, and pouches to the medical, dental, and manufacturing businesses. These products are used in the organization of paper documents and files that assists the user in efficiently and safely transporting important documents throughout an operational process. In an asset acquisition, Halitron, Inc. acquired the assets including a customer list totaling over 40,657 customers, the www.piecesinplaces.com web site, and digital artwork files utilized for print and email blast campaigns. CinchSigns is a brand that primarily sells point of purchase (POP) supplies like retail price cards, labels, banners, tags, and sign holders that help promote a marketing message through small-to-mid size retailers throughout the US. The brand’s target customer base includes furniture stores, mattress stores, flooring, appliance, gas stations, automobile dealerships, and variety stores. In an asset acquisition, Halitron acquired a customer list totaling over 150,018 customers, the www.cinchsigns.com website, and digital artwork files utilized for print and email blast campaigns. In the asset acquisition of CinchSigns, Halitron acquired equipment, artwork designs, raw material, finished goods and valuable know-how within a very talented management team and employee base to produce goods with high quality at low costs. Halitron acquired the brand, CinchSigns, in an asset sale from Plastic Retail Displays, LLC, for a total purchase of $673,406; paid in a long-term note payable. The total purchase price was calculated based on an eight times multiple of projected adjusted EBITDA over the next 12 months. 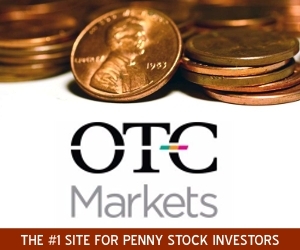 We have found that there is a substantial number of penny stock investors that have a “taste” for sub-penny companies. With that said, many have jumped in this opportunity and for longs, hope that more join the party. Trading volume of nearly 2 billion shares is nothing to sneeze at, even if its .000whatever. Getting the company to .01 for QB purposes will be a chore, and ultimately may warrant a reverse split, but with the $3 million the company now has to work with, it can add another undervalued holding or two (hypothetically speaking) without having to use stock to facilitate the transaction. A few smart moves could make a big difference on whether a reverse is needed, and even if so, a 1:5 is better than a 1:100 type thing. Just trying to be optimistic here. So shareholders, grab a seat and see what HAON management has in store for y’all. Are they for real? Will they get HAON to .01+… Do they have some acquisition candidates in the mix? We will keep you posted. Disclosure: PSInvestor does not hold a position in the above mentioned company nor affiliated with any of its holding companies. 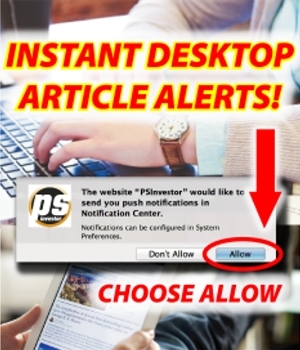 PSInvestor have not been compensated for the above written article. For more, please read our full disclaimer. PSInvestor Takes A Look At The Hot Sub-Penny $HAON Halitron, Inc.